Johnson's Italy. 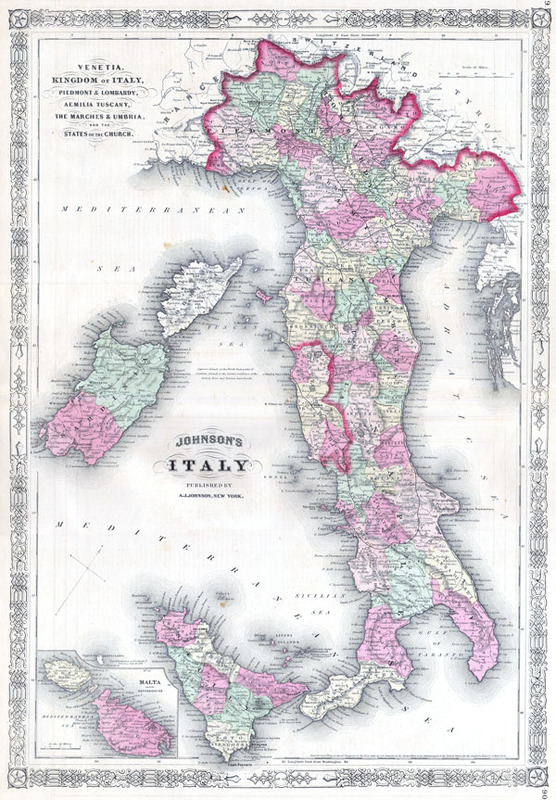 / Venetia, Kingdom of Italy, Piedmont & Lombardy, Aemilia Tuscany, The Marches & Umbria and the States of the Church. Johnson's New Illustrated Family Atlas, (1864 or 1865 edition). Very good condition. Original centerfold. Test on verso.